Weddings are beautiful and magical events that celebrate the union of two souls who have made the promise to spend the rest of their lives together. With the heavy significance of a marriage, it’s unsurprising that couples want nothing but the best for their big day. And let’s be real here, which bride wouldn’t want her wedding to be as close to perfect as possible? 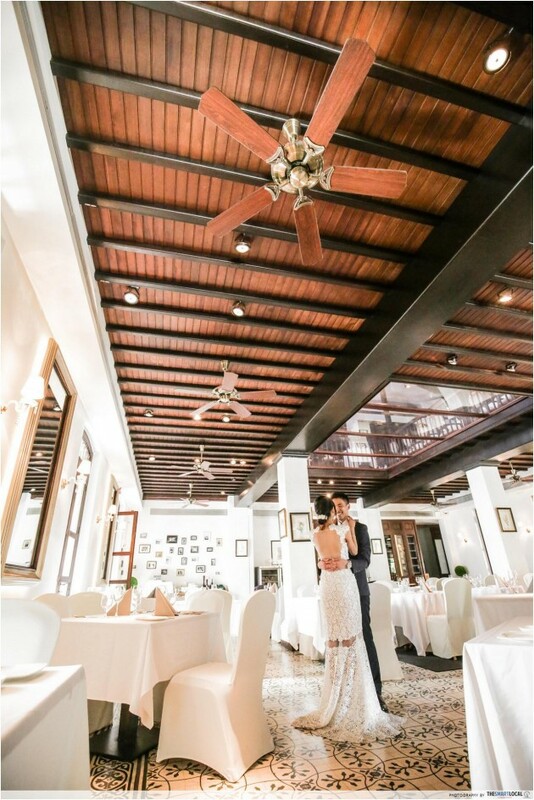 So for all you lovebirds out there who want a next-level wedding and refuse to conform to the usual hotel banquet weddings, here are 10 unique locations that will make for a spectacular backdrop to the beginning of your new life together with your other half! 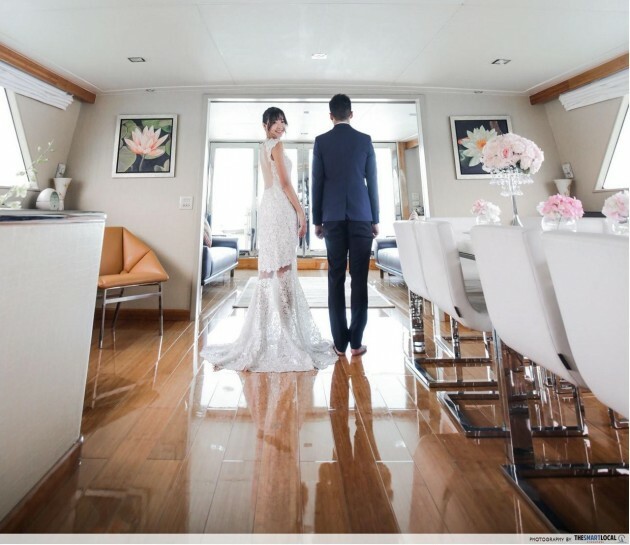 For a luxurious wedding done in style, ONE°15 Marina Club charters gorgeous yachts that will allow you to hold your solemnization ceremony at sea. 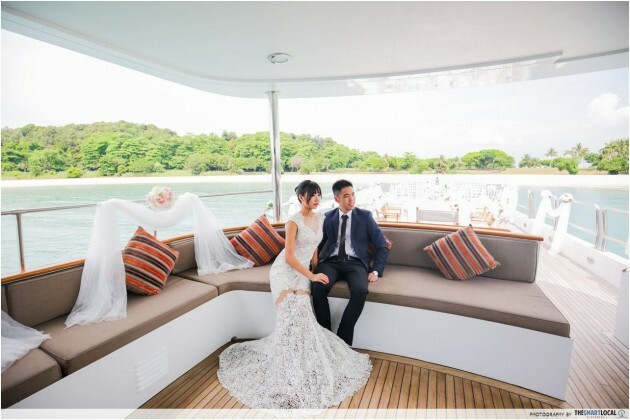 Feel yourself getting transported to an oasis of tranquility as the yacht cruises along smoothly, and create precious memories in this unique wedding venue that few have the privilege of securing. Needless to say, your friends who've never set foot on a yacht will be very pleased to be a part of your exclusive occasion. 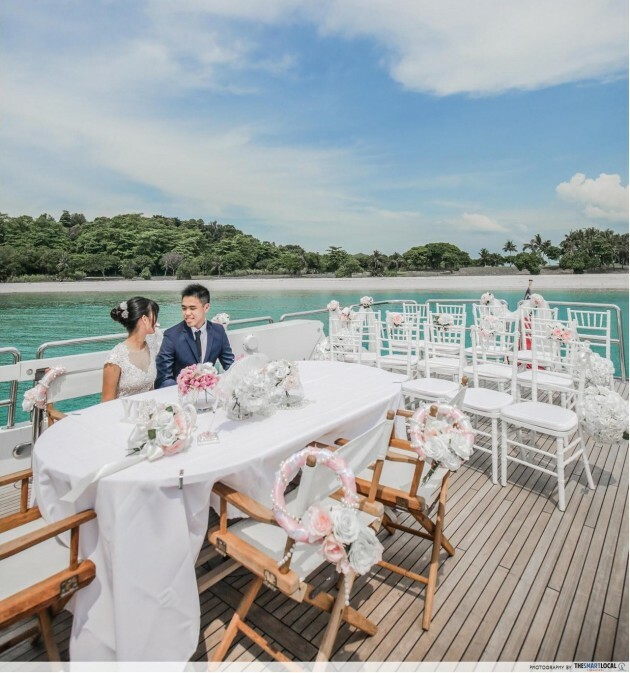 Not to mention, the vast expanse of azure blue sea and shimmering ripples make for insta-worthy photos to populate your wedding hashtag with. Score one for the baller couple! 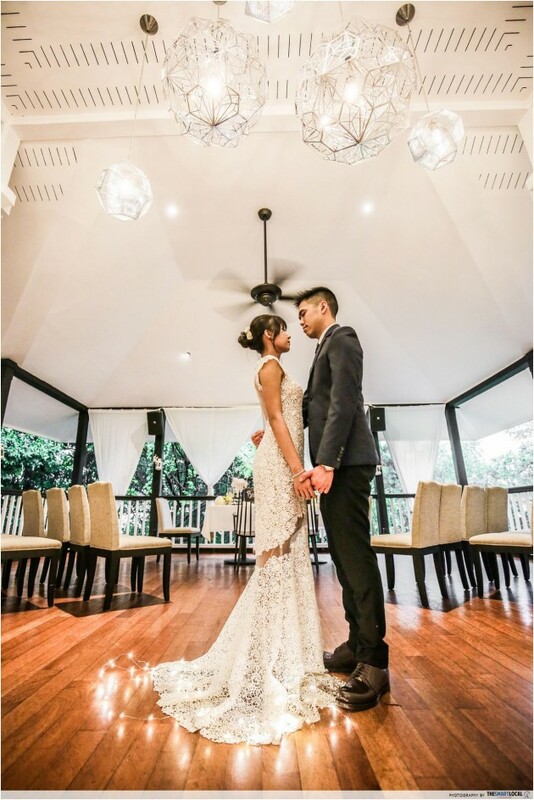 Couples who baulk at the thought of having to socialize with tons of guests but still want a dream wedding, we’ve got your back. 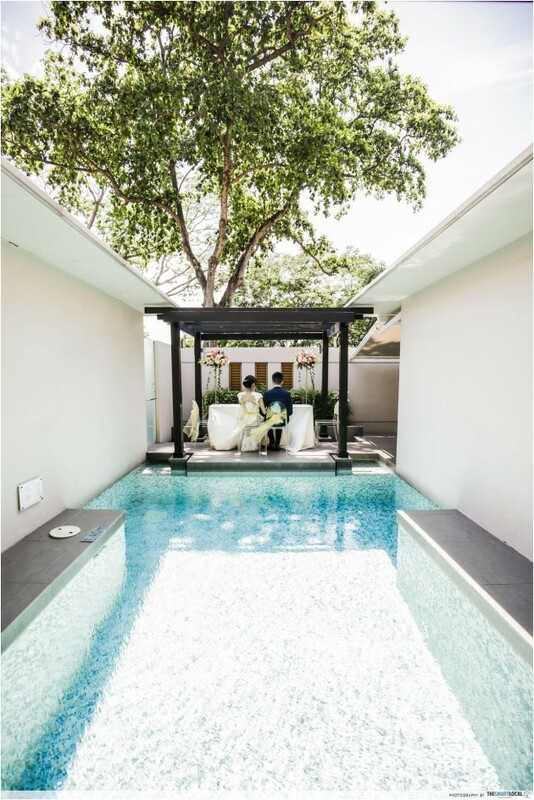 At Amara Sanctuary Resort Sentosa, you can book an entire villa for an intimate gathering with just your family and closest friends. 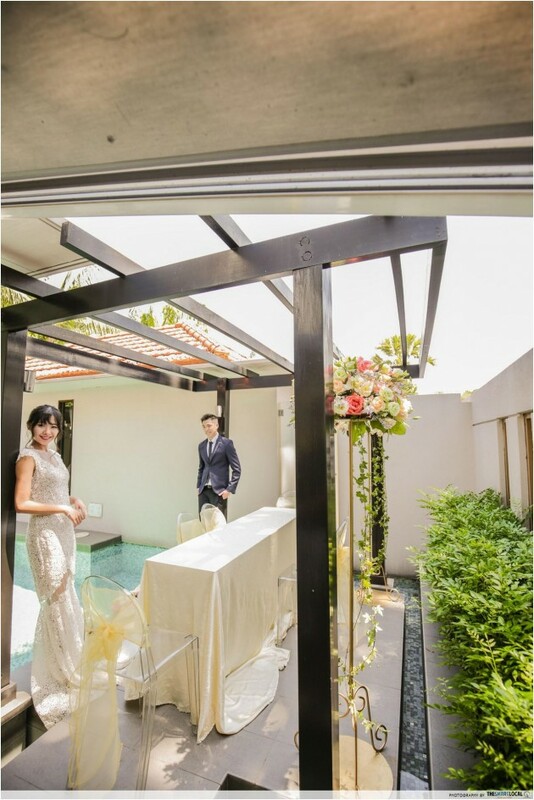 Hold your tea ceremony in the living room, before proceeding outside for your solemnization ceremony at the romantic pool trellis. While the villa is unable to match the maximum capacity of usual solemnisation venues, it is precisely the intimacy of this private setting that sets it apart from other locations - striking the perfect balance between exotic, elaborate, and exclusive! 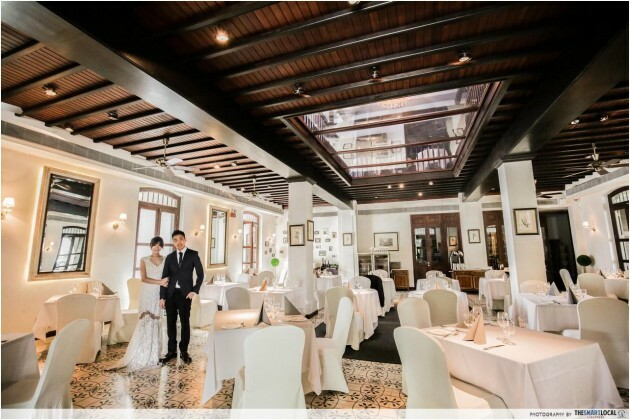 Perched serenely upon Fort Canning Park is Lewin Terrace, a Japanese-French fusion restaurant housed in a charming black and white bungalow that exudes sheer stylishness with its earthy tones. The restaurant keeps to a classy decor, and stepping into the restaurant fills guests with an unexplainable sense of dignified calm. 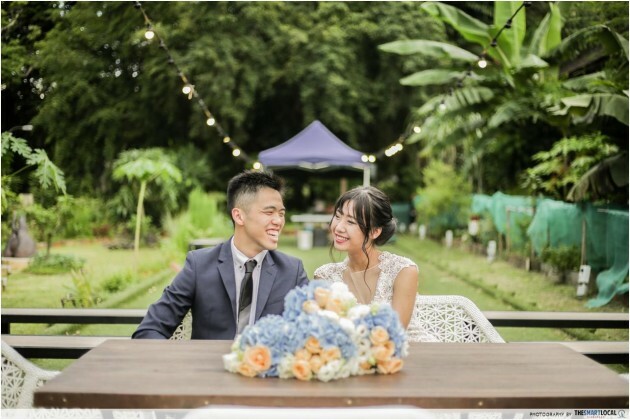 Overlooking lush greenery, and with natural light filtering brilliantly through the trees, a wedding at Lewin Terrace is a decidedly elegant affair - not to mention, incredibly romantic! In other words, it’s the ideal location for the wedding of a lovingly sophisticated couple. P.s. We hear there’s even a bridal room specially for the couples to get ready in! 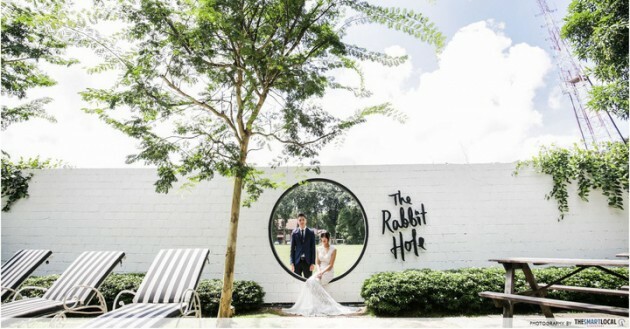 Situated in an old chapel that has since been converted into a restaurant, The White Rabbit boasts high ceilings and large stained glass windows that gives off a spacious yet intimate charm - ideal not only for tai tais to enjoy an afternoon tête-à-tête, but also the perfect setting for a fairytale wedding. What’s more, there’s even an idyllic backyard (The Rabbit Hole) to hold your tumblr-esque garden party! 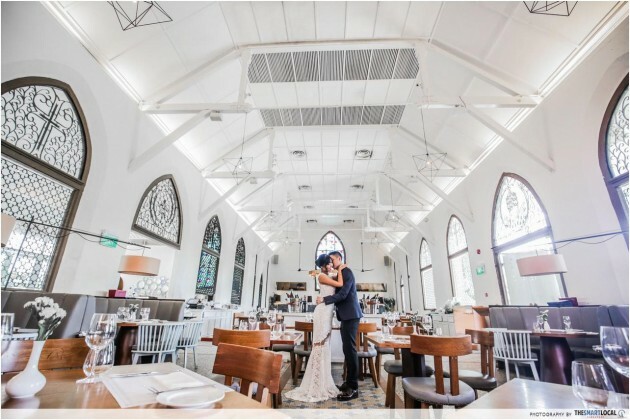 For a romantic wedding set in a quiet location, insulated from the hustle and bustle of the city, consider UNA @ One Rochester. 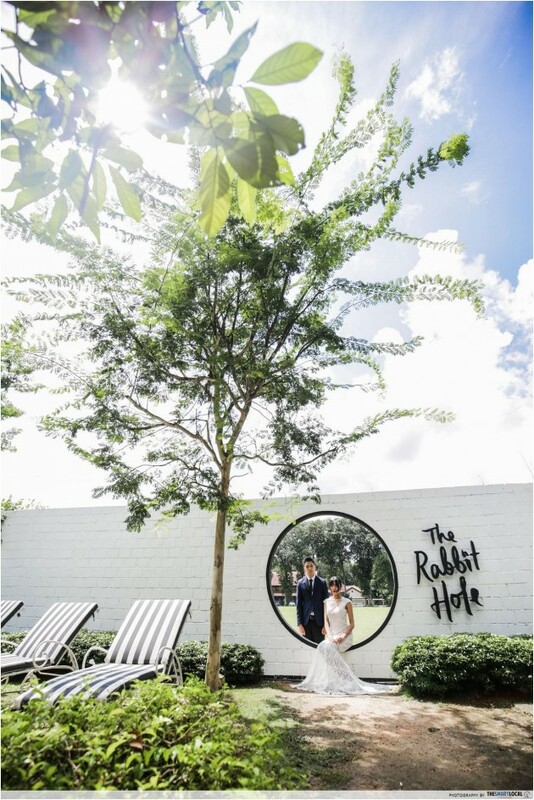 Choose to get married in a lush cozy garden that provides a dreamy alfresco setting looking straight out of a fairytale, or inside the historical 1930s bungalow that oozes a classic European charm. 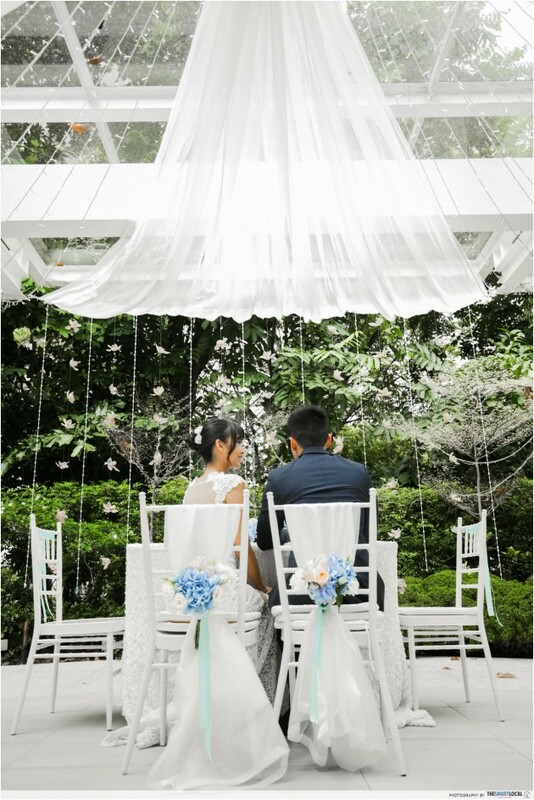 The gorgeous draped fabric billowing in the breeze as sunlight glistens also creates a mystical sense of reverie, evoking a whimsical quality to the wedding. With a dedicated in-house team for weddings at UNA who will help customize the package according to your preferences, your wedding planning will be hassle-free! Nowadays, there’s been a growing consciousness of the importance of sustainable living through adopting eco-friendly practices and being mindful of the produce we consume. 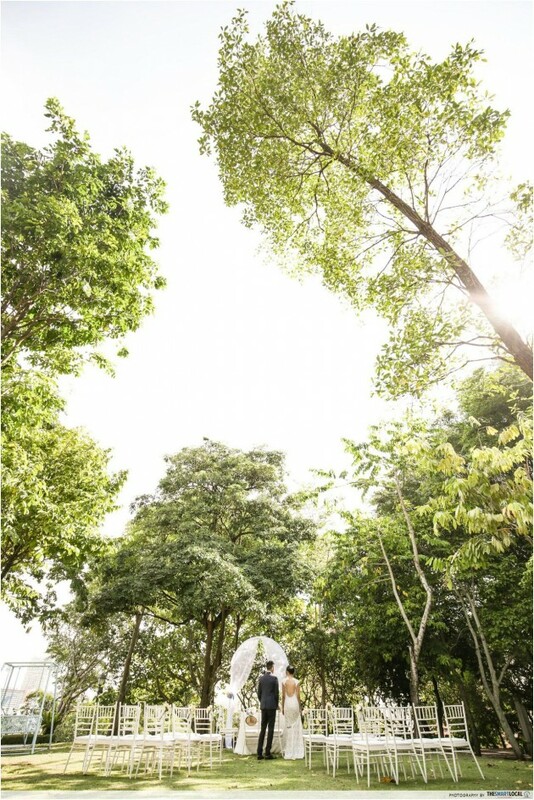 If your partner and yourself feel passionately about the environment, you can even make a stand by holding your wedding at Open Farm Community, a restaurant which champions urban farming. 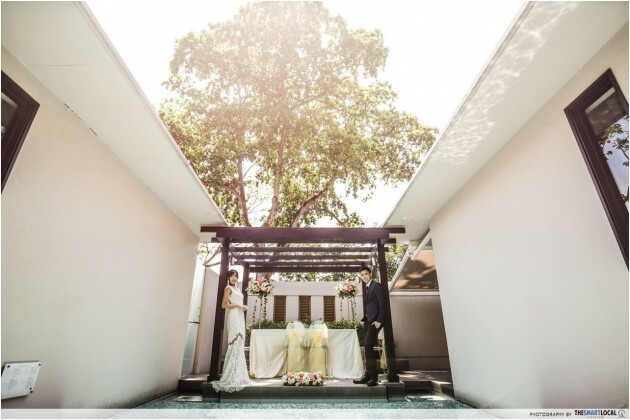 With numerous unique spaces around the restaurant, one can choose to have their wedding ceremony surrounded by garden herbs, or even host a wedding dance at the cafe terrace. 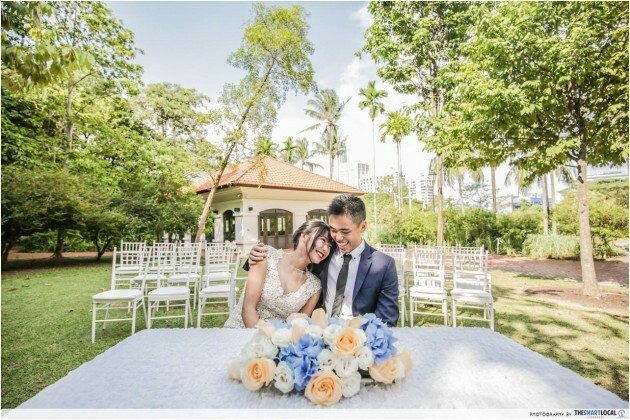 Tucked away in Fort Canning Park is Raffles House, a regal Colonial house with a connected lawn that can be transformed into an amazing venue for a garden wedding. 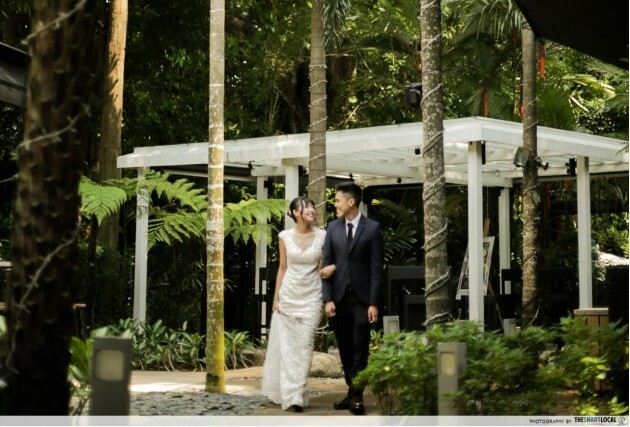 With the lush foliage surrounding the area, every photo snapped during your big day is sure to reflect the beauty and vitality from the union. 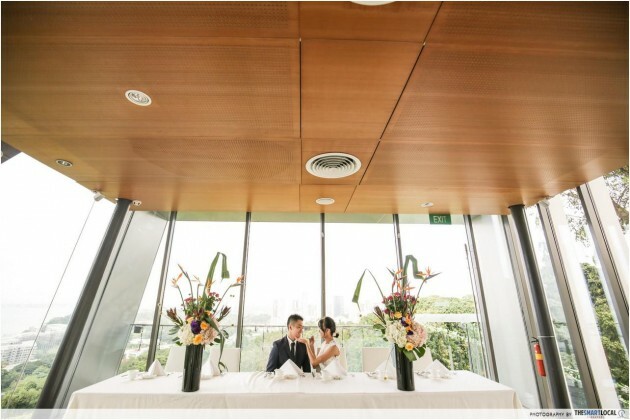 Not to worry if Singapore’s sweltering heat is causing you to think twice about the outdoor venue, Raffles House itself is fully air-conditioned! 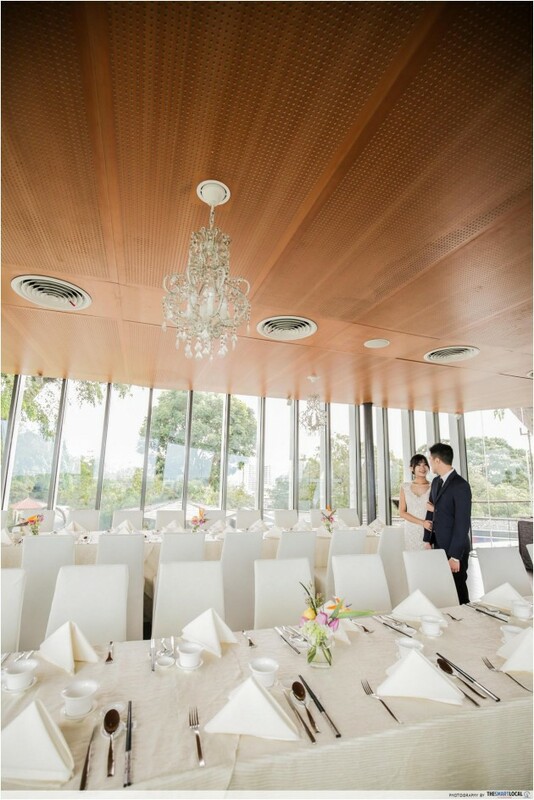 With a bird's-eye view from the top of Mount Faber, Faber Peak’s Private Dining Room boasts magnificent scenery that features the running cable car line, the harbour, and vibrant thickets of trees. There, let your guests and yourself be blown away by the view and birth new meaning to the phrase “you and me against the world” as you say your marriage vows facing the panoramic view from on top of the hill. 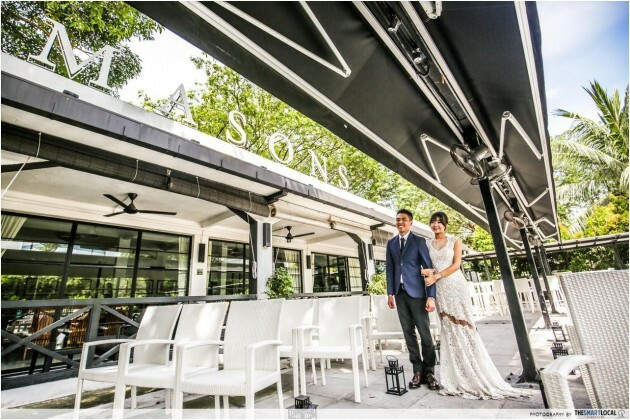 If what you are hoping for is a wedding that screams stylish sophistication, Masons will fit the bill with its monochromatic palette of black and white. 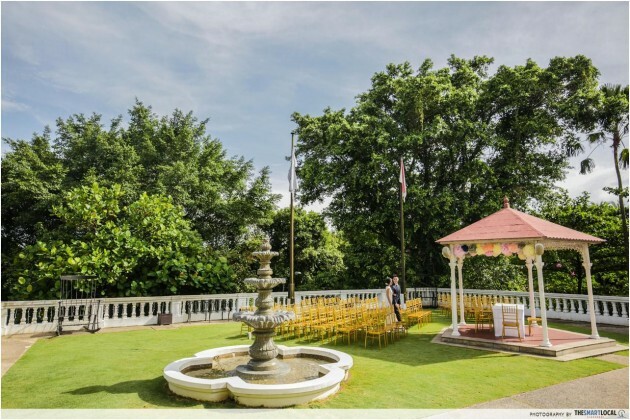 Have the best of both worlds with their adjoining garden alfresco area that is ideal for a simple solemnisation ceremony. 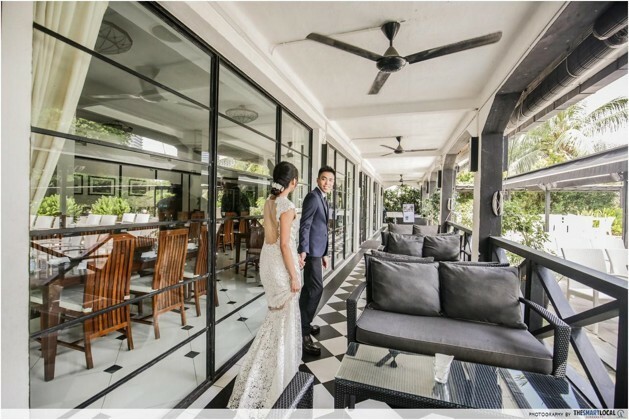 Steeped in rich history, this bungalow was built in the 1930s and has witnessed numerous joyful celebrations over the years, and it is sure to captivate the hearts of the couple and guests alike with its quaint charm. Update July 2017: Alkaff Mansion Ristorante is no longer in operation. 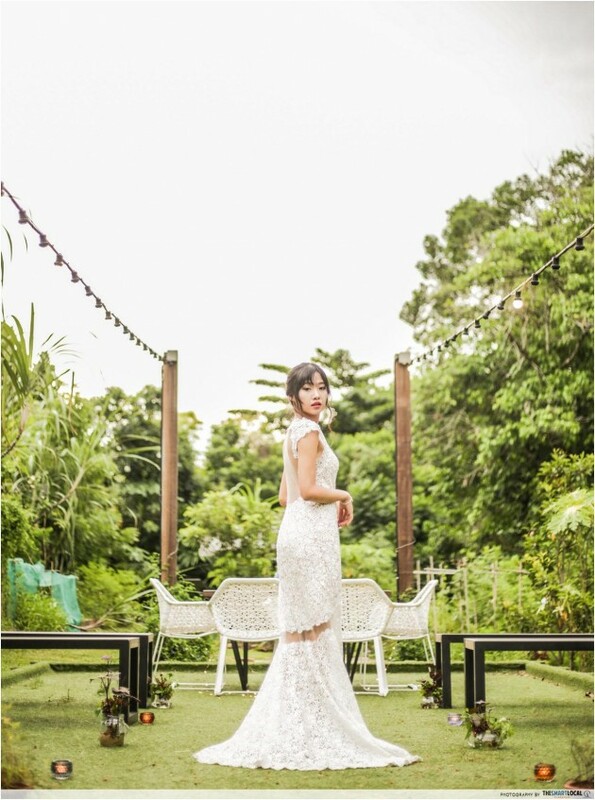 Famed for hosting numerous high-society parties in the 1930s, the Tudor-style Alkaff Mansion perched atop Telok Blangah hill is the perfect location for a Great Gatsby-esque wedding dinner, or a dreamy outdoor wedding ceremony at its garden gazebo. Channel your inner Belle as you waltz through the captivating grand mansion that is fit for royalty! Choosing to allow your two souls to intertwine takes a quantum leap of faith, and the journey will not be easy - but make the choice to work through issues together, and resist the instinct to take flight at the first signs of discomfort. Remember, love is as much an act of the will as it is of emotions, so embrace all it has to offer with your whole heart and soul! 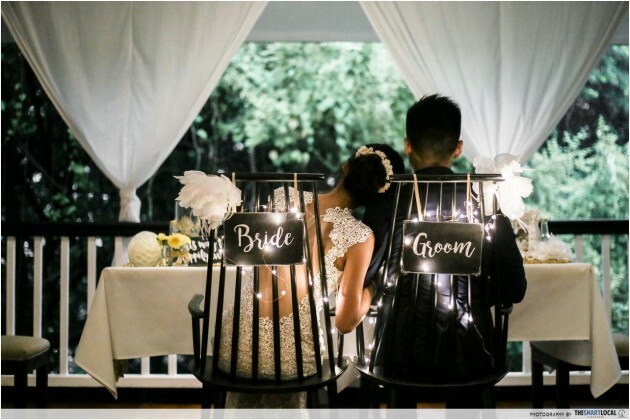 We hope this article was a useful resource for your wedding preparations; if you know of any other venues that deserve a spot on this list, do let us know in the comments below! Planning for a wedding is no easy - or cheap - task. 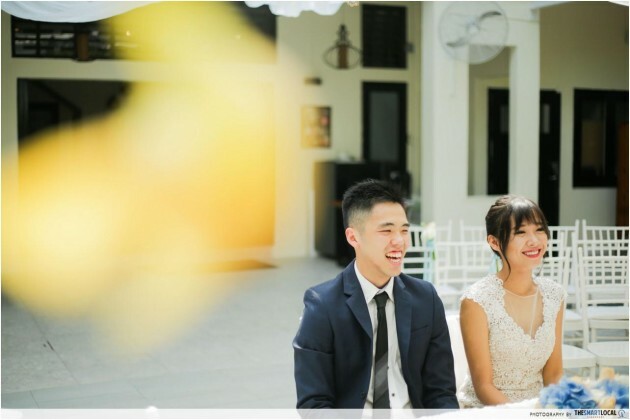 For big ticket items like locking down that solemnisation venue or even paying for your dream wedding dress, OCBC Cashflo Credit Card will help significantly and take the weight off your repayment. The OCBC Cashflo Credit Card is an auto-instalment credit card that automatically splits your purchases into 3 or 6 months payment, completely interest free! Unlike Installment Payment Plans, it is dependant on the merchant’s availability or you have to call the bank to convert the payment into instalment plan if you are using other credit card. 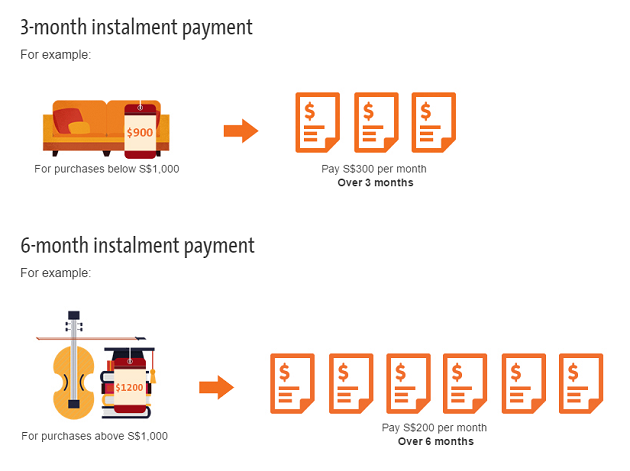 OCBC Cashflo Credit Card automatically splits your payments to 3 months, when you spend below $1,000; 6 months when you spend $1,000 and above. And that’s not the end of it, you’ll also earn up to 1% cash rebate on all that wedding spending to offset your future bills. The card will also entitle you to a whole range of benefits and privileges like discounts on movie, dining options, online shopping, travel, and even petrol! No longer will you have to hold back on the things you really want - or even need - for that big day, just because your cash reserves are running dry. Say goodbye to paying unnecessary interest today! For more information on OCBC’s amazing Cashflo Card, click here! This post is brought to you by OCBC.